Heidi is a mother of teenagers, and an Associate Professor living and working in Darwin. 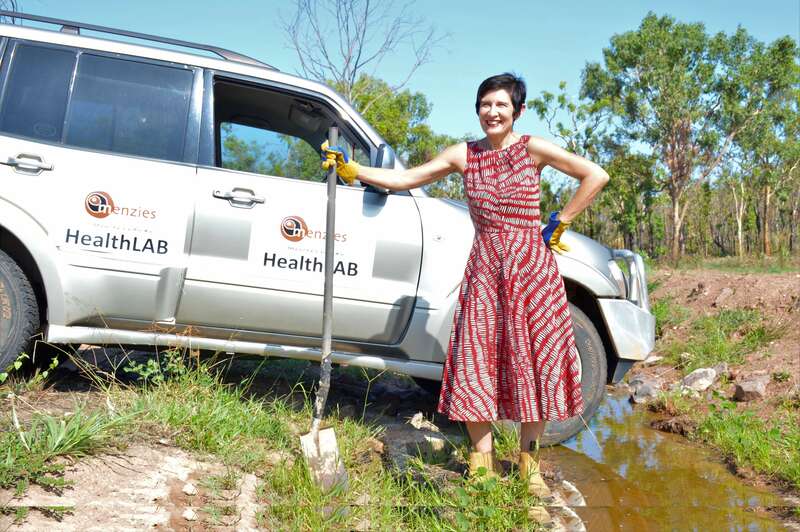 For nearly 30 years, she has built an exciting career in health research in remote Australia and in neighbouring countries in the Asia-Pacific region. Heidi works with some of the most underrepresented women in STEM and has passionately worked to ‘grow our own’ women scientists and leaders. To achieve this, she develops and promotes school ambassador programs, gap-year traineeships, and other initiatives that create pathways for Indigenous youth in remote regions to pursue tertiary education. Heidi has seen first-hand how the success of a young woman can positively impact their entire community. Heidi is a microbiologist by trade, leading lab teams engaged in antibiotic and vaccine trials – work that informs health practice and policy. She also co-developed HealthLAB, a program that travels around the NT and allows members of the public to measure their own health markers, which informs a healthy lifestyle check-up. For people of all ages, this initiative is improving lifestyle behaviours and dispelling health myths by giving them the power to measure and assess their own health. Heidi’s success stems from the amazing women and men who are her role models, who supported her, and helped her develop her strong values and ethics. She now works hard to impart what she has learned to the next generation.